Decorate a box with the letter "Q". Inside the box place items or pictures of items that begin with the letter "Q". This also works well if you use pictures, and have each child in turn draw out one picture and tell it's name and what they would do with it. Divide the children into groups of threes. Have the children in each group lie on the floor and use their bodies to form the letter "Q". Let the children in each group trade places and form the letter "Q" again, so each child gets a turn at being a different part of the "Q". 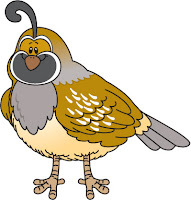 Fill in the Missing Word: All of your guesses should begin with the /qu/ sound like in quarter. Circle and Find: Have students practice reading environmental print. Use newspapers, junk mail, and/or sales flyers and have them highlight all of the letter Qq’s using a highlighter. Read the Sentence! Count the Words! : Directions: Read the sentence. Count how many words begin with the /qu/ sound. Count how many words are in the sentence. I have put together a collection of songs and read a-loud books about the Letter Q. There are over 35 pages of interactive activities to promote and reinforce letter, critical thinking, and math concepts. 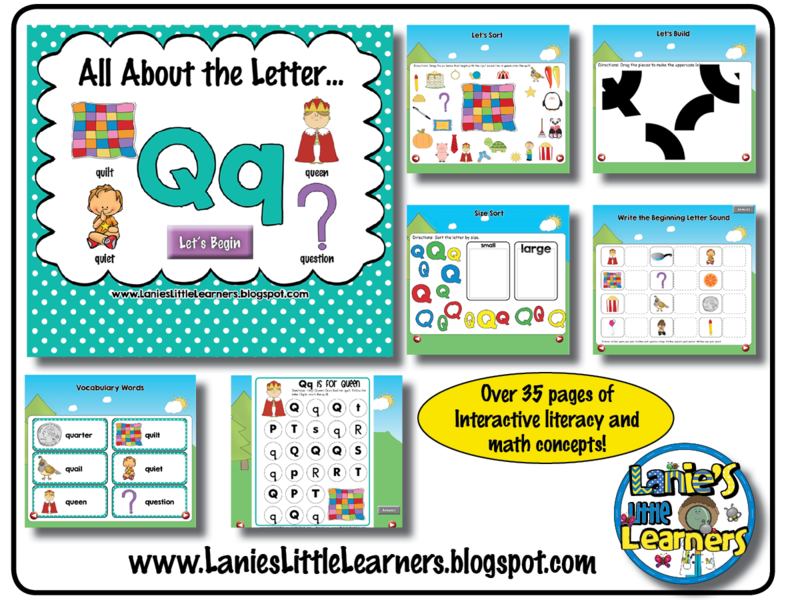 All About the Letter Qq is perfect for whole group, small group, and individual practice on the SMARTBoard or on a computer with the SMARTNotebook software installed. 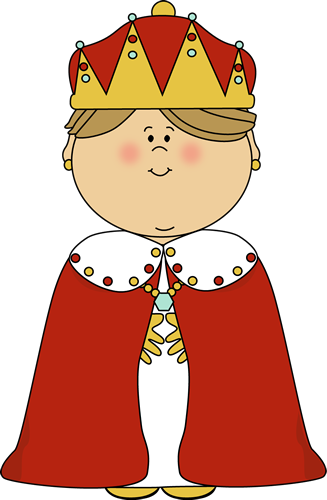 Where is the Letter Qq: Circle the upper and lowercase letter Q.
Qq is for Queen: Help Queen Quin find her quilt by following the upper and lowercase letter Q to the quilt. Let’s Sort by Uppercase and Lowercase Letter Qq: Sort the quarters by upper and lowercase letter Q.
Let’s Sort: Sort pictures by the beginning /qu/ sound onto the quilt. To re-set the self- checking game: Click on ACTIVITY BUILDER>RESET ALL. This resets the game pieces to their original location. Search a Word: Look for words beginning with the Letter Q. All words are hidden across and there is only one word per line. Let’s Build the Letter Qq: Use the shapes to construct the upper and lowercase letter Qq. Puzzles: Put together 5 letter puzzles all beginning with the letter Q. Color by Number Color by number to find the missing letter. Balloon Pop Pop the balloons and decide if the picture begins with the /qu/ sound. Size Sort Sort the letter by small and large. To re-set the self- checking game: Click on ACTIVITY BUILDER>RESET ALL. This resets the game pieces to their original location. Color Sort Sort the letter by color. To re-set the self- checking game: Click on ACTIVITY BUILDER>RESET ALL. This resets the game pieces to their original location.